The Lingayat sect became prominent in the twelfth century as a reaction to Brahmanism. Many Lingayats today live in Karnataka, Maharashtra and Tamil Nadhu. The sect rejects the supremacy of the Brahmans; denies polytheism and acknowledges Shiva as the one true god thus rejecting Brahma and Vishnu. It rejects caste distinctions, rebirth, pilgrimages, temple worship and sacrifice; does not burn its dead but buries them; does not allow child marriage, and does allow widows to remarry. 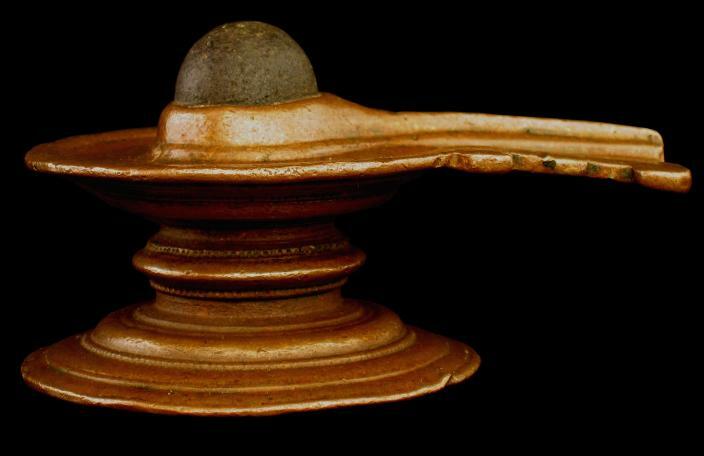 The Lingayats believe movable lingams to be the only true symbol of Shiva. Individuals are initiated into the sect as they enter adulthood. A consecrated lingam uniquely created for each initiate is presented by a community guru amid prayers and ritual. The lingam is created only for the individual and must be protected and guarded, hence the need for a protective box as shown here. 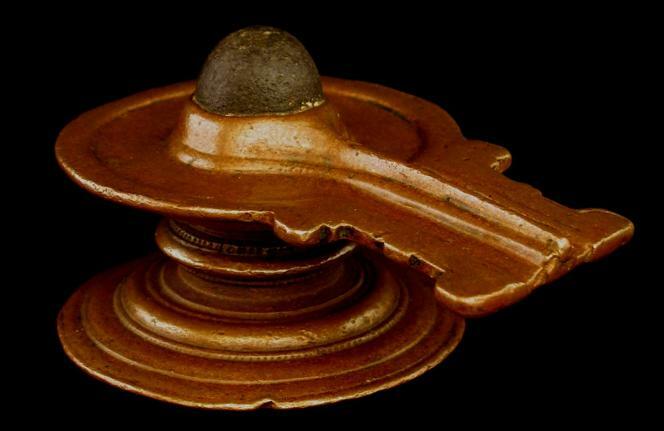 All Lingayats carry their personal lingam with them at all times. After death they are buried in a sitting position with the lingam in the left hand. More information on the Lingayats can be found in Utracht, O., Traditional Jewelry of India, Thames & Hudson, 1997, p. 133.